The GOQii Life fitness tracker, which was first announced back in February, has gone on sale via Amazon India; offering up the usual activity band aspects with a couple of unique extras thrown in. The first feature that makes the GOQii Life stand out from the fitness band crowd is the personal coaching that's on offer. GOQii has "an array of health, fitness and habit experts" lined up to offer personal mentoring to users. The coaches will look at the data the band collects – steps, distance, calories, active time and sleep – and encourage you in areas where you need a push by setting goals and attempting to develop habits to keep you fit and healthy. The advice is delivered in real time using smartphone apps, and you’ll even be able to IM and video call with coach or earn a virtual high-five. The other USP for the GOQii Life is the Karma Points feature. Like NikeFuel, you’ll collect GOQii Life points when being active and hitting targets, except this time there’s more than social boasting rewards on offer. Users can exchange their Karma Points for real money to donate to charities. GOQii plans on having various donor partnerships on offer. For launch, Oxfam India is on board. It's a great idea and, alongside the personal coaching, it's obvious that it'll be harder to chuck a GOQii Life band in a drawer and just forget about it than it is with the likes of the Fitbit Flex and the Jawbone UP24. 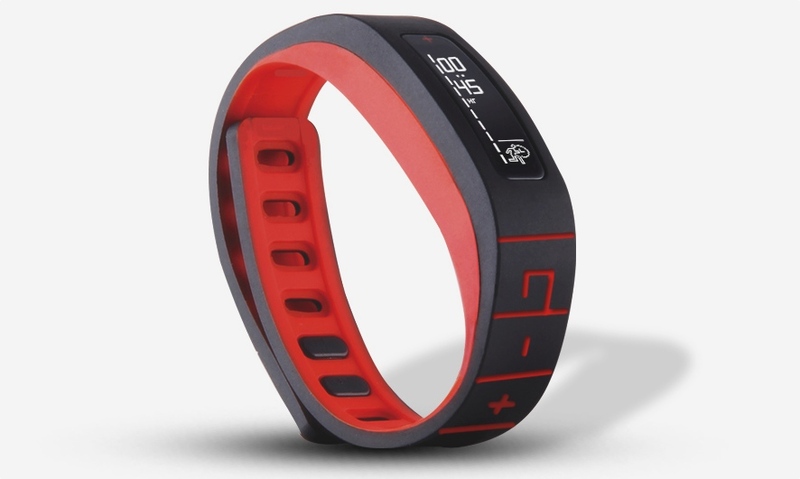 The GOQii Life fitness tracker is only available to Indian residents at the moment, although the company does have plans to extend availability to the US, UK, UAE and Singapore as the platform builds its capacity. The pricing is based on a subscription service rather than a one-off cost. It's Rs 3,999 for a three month plan, which works out at about £40. We'll keep you updated with regards to global release details. In the meantime, check out our guide to the best budget fitness trackers.